Spoon dressing into 8 cups. Counting calories? Save 50 calories and 7.5g of fat per serving by preparing with KRAFT Lite Ranch Dressing. 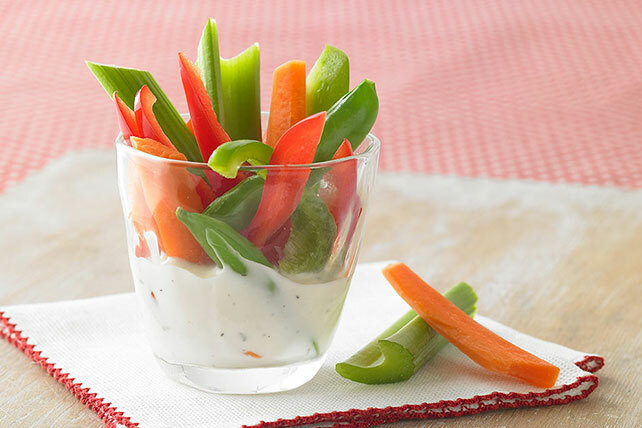 Try our Healthy Living version of Veggies & Dip. Prepare using KRAFT Lite Ranch Dressing or KRAFT Lite CATALINA Dressing. Place cups on a holiday platter to serve.